(Daily Mail) The wildfire tearing through northern California is so hot it’s formed its own weather system, with strong winds creating a phenomenon known as ‘firenados’. 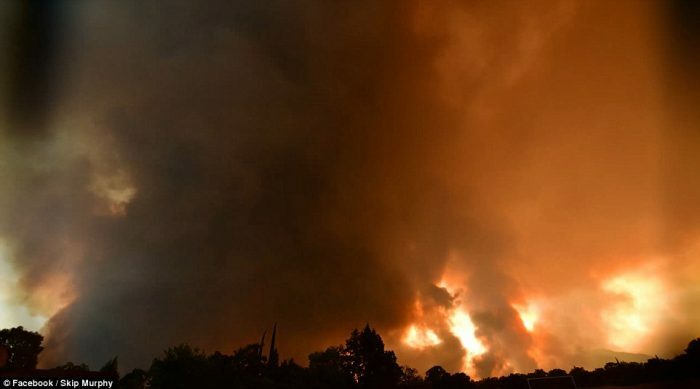 Stunning images show smoke from the Carr Fire standing up in a giant column above Shasta County as it rages on for the sixth day in a row, leaving two firefighters dead and destroying 500 homes, as officials warned another 5,000 properties are still threatened. On top of the blaze itself, people in the area now have to look out for firenados as well, which occur when high temperatures drive the air upward, creating gusts of wind in three directions and advancing the fire’s spread.